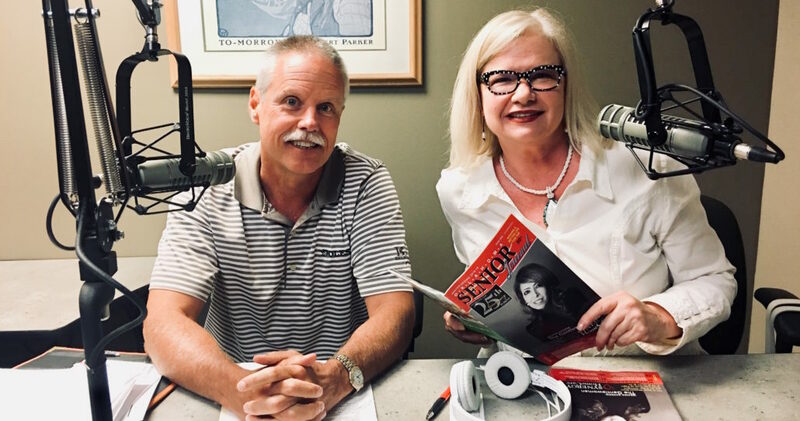 9-22-18: Kermit Frank with Dolese Bros. Co. This week on The Rise & Thrive OSJ Radio 📻 Hour. Saturdays 9:05 a.m. on The Eagle, KZLS 1640AM or listen in on the OSJ app and website “Home Page” anytime! Guest in the OSJ Radio Studio: Kermit Frank, Director of Communications and Community Relations for the 116-year-old Dolese Bros. Co.
Kermit Frank is Director of Communications and Community Relations for Dolese Bros. Co. He is a 34 year veteran of Dolese serving 30 years in Aggregate Sales (crushed stone), with 15 as Sales Manager. Dolese was founded in 1902, 116 years now, in Oklahoma since before statehood. Kermit graduated from Oklahoma State University (Go Pokes!) and has been active, serving on the Boards for the Association of Oklahoma General Contractors, Oklahoma Aggregates Association, Better Business Bureau Arts Council Oklahoma City, Leadership Oklahoma City, and Downtown Rotary club 29. Kermit was a member of Leadership Oklahoma City and Leadership Oklahoma. He is a member of Presbyterian Westminster Church and active on their television Ministry Team. Kermit and his wife Sarah have 2 college aged sons and live in Edmond. https://okseniorjournal.com/wp-content/uploads/2018/09/IMG_2020.jpg 2095 3983 rg7878 https://okseniorjournal.com/wp-content/uploads/2017/09/OSJ_Logo_300dpi-300x100.jpg rg78782018-09-21 11:05:502018-09-21 20:29:249-22-18: Kermit Frank with Dolese Bros. Co.